Camprofile offers the compressibility of a sheet gasket for low sealing stress, along with the bolt tightness of a spiral wound gasket - plus the handling ease of a solid metal gasket and its resistance to buckling. 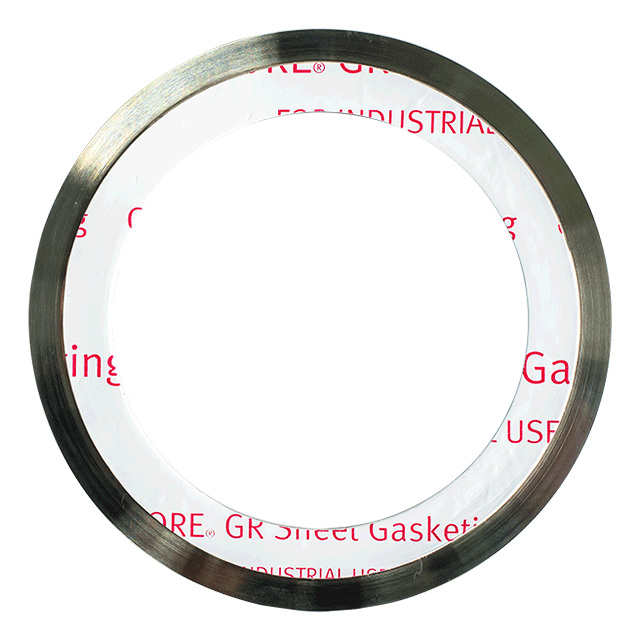 The Camprofile gasket fights against flange rotation, bolt stress relaxation, and creep - even under extreme pressure and temperature fluctuations. At Masterpac, we have complete range of facing which suitable for every applications e.g. Thermiculite®, Sigraflex® APX2, Gore GR ePTFE. Flexitallic Thermiculite® 845 Kammprofile consists of a serrated metal core onto which is bonded a vermiculite based sealing face. The metallic core provides gasket rigidity and blow-out resistance while the soft Thermiculite 845® facing provides exceptional sealing performance. Flexitallic Thermiculite® 845 Kammprofile uses high temperature facing material which has max temperature to 982ºC (1800ºF) and Class 150 to 2500. Our Camprofile (Kammprofile) style HEG-C1 manufactured under ASME standard (or customer's standard) which consists of serrated metallic core, incorporating soft gasket sealing facings. This design is typically used in confined locations, including male-to-female, tongue & groove, and recessed flange arrangements. Suitable for class 150 to 2500 service. Masterpac Camprofile style HEG-C2 (ASME standard or customer's standard) consists of parallel root core with integral centering ring which helps for correct gasket positioning within the mating flange bolt circle. This design typically recommended for using on standard raised face and flat face flange assemblies. Suitable for class 150 to 2500 service. Camprofile style HEG-C3 (ASME standard, or customer's standard) is the design that consists of parallel root core with floating centering ring, attached outside the sealing area. This design is preferred where flange differential radial thermal expansion may be encountered. HEG-C3 is recommended for use on standard flat face and raised face flange assemblies. Suitable for Class 150 to 2500.